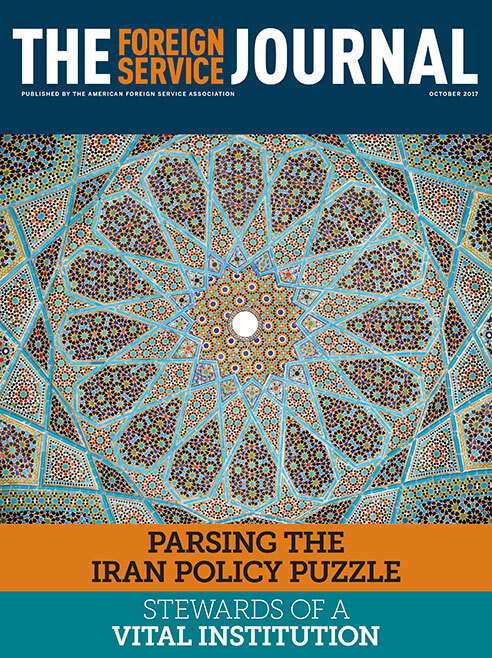 The October issue focuses on dealing with Iran. This in-depth look at Iran provides context and perspective for understanding the controversial nuclear deal. Doing foreign policy has rarely been easy, but several new realities contribute to making it especially difficult today. In this unusual example of the value of soft power, the often-divisive issue of biotechnology enabled the United States and Iran to find common ground. The United States is a relative latecomer to the politics of the Middle East, much of which derives from European colonialism, as this retrospective on Iran from 1980—already more than three decades past—shows. This story of power politics, warfare and diplomacy in 19th-century Iran and the Caucasus is a rich slice of history. It is also a cautionary tale that transcends its time and place.